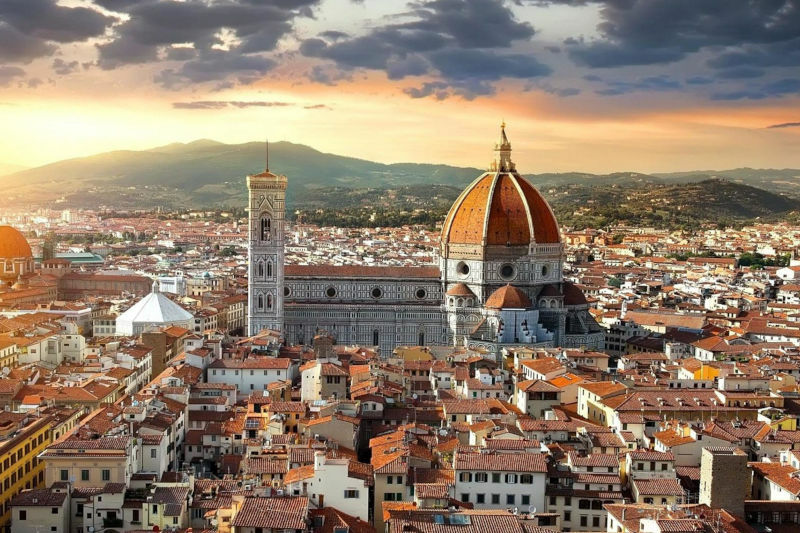 What's the best thing to do in Florence? 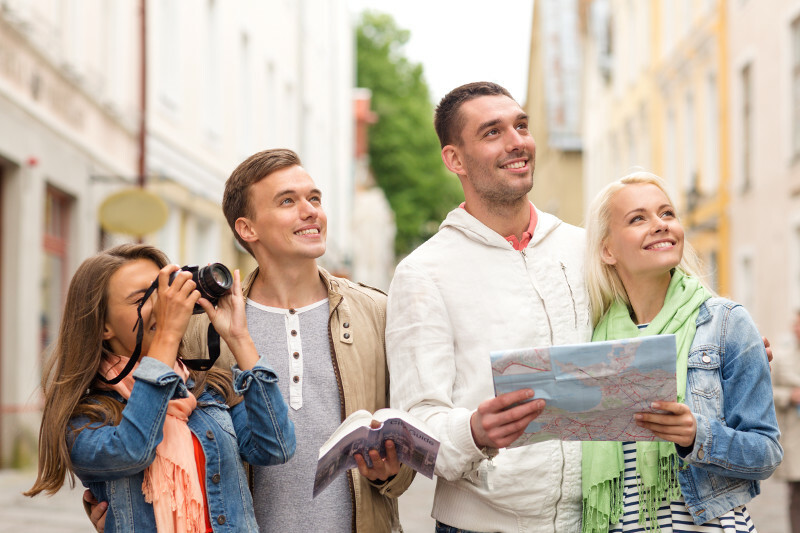 A free walking tour! Discover the mysteries, history and art of Florence through a walking tour that reveals to you hidden treasures of the heart of Tuscany. Venture onto the historical streets of Florence and get ready to see the treasure that the city offers to tourists,revealed by ourguides. From Pitti Palace to the Uffizi Gallery,from Santa Croce Church to the majestic Dome of Florence, follow the path of the Vasarian Corridor and discover the secrets of Ponte Vecchio. Our guides lead their tours with knowledge, prepared to unveil to you the history and the curious facts and habits of their city. Tours are managed by Justmen, a non-profit association who helps making Florence,(and a lot of other italian cities) accessible for all the Guests,including people with disabilities, while preserving its cultural and historic patrimony. 1. Where does Florence tour start and end? 2. What is the frequency of Florence tour? The tours will be on friday morning and twice a day on weekends (saturday and sundays). Check the schedule of the tours in every city. 3. How long does Florence tour last? 4. Is Florence tour only in English? 5. Is Florence tour free or should I expect to pay a fee? 6. Is Florence tour children and seniors friendly? 7. 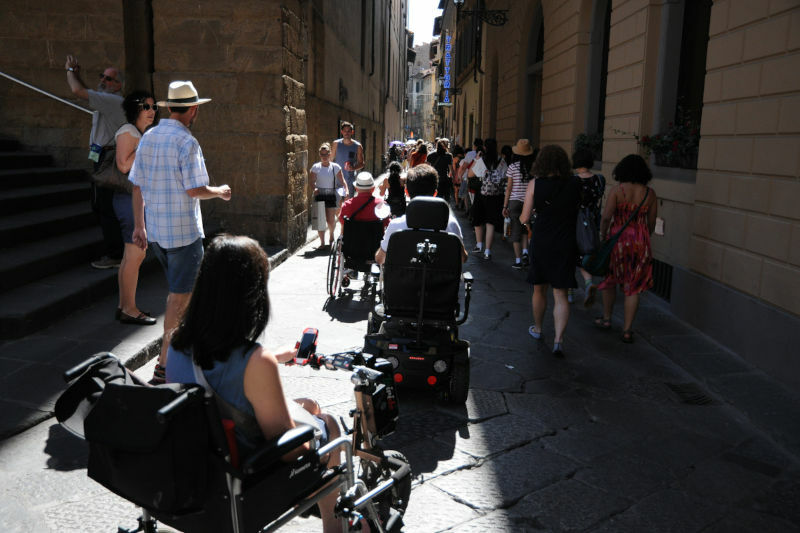 Is Florence tour accessible for people with disabilities? The Accessible Tour specially designed for people with reduced mobility or who travel in wheelchair starts in Santo Spirito Square, in Oltrarno.